A tasty side dish is well worth the extra few minutes it takes to prepare. 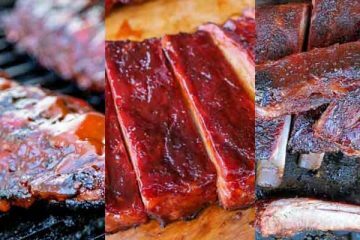 Without stealing the show, a great side or two will really round out your barbecue, and transform it into a complete meal. But all the thought and effort that goes into cooking your meat sometimes means the side dish is an afterthought, or forgotten completely. 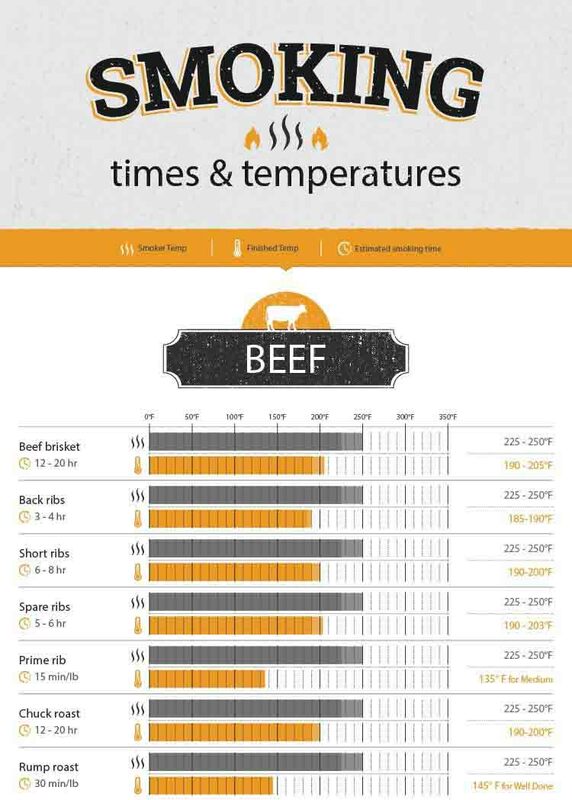 We have put together a list of 15 dishes that will complement your meat dishes perfectly. 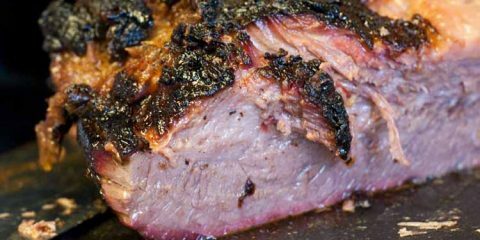 Whether you’re looking for a side dish to serve with brisket, ribs or pulled pork you’ll find some great options for your next barbecue. 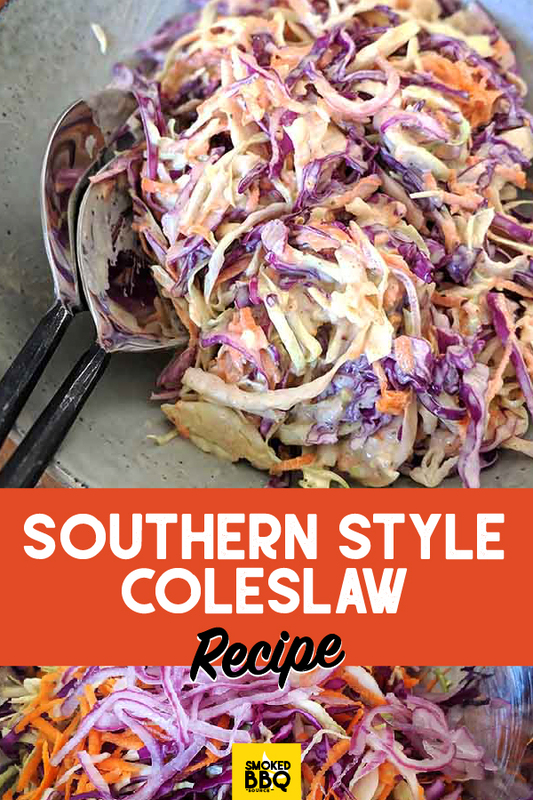 If you have five minutes to spare, then you can whip up our very own perfectly balanced southern coleslaw recipe. If you have bought pre shredded cabbage you probably only need three minutes. Creamy, tangy and just a little bit sweet, it is sure to be a crowd pleaser. It is also versatile. 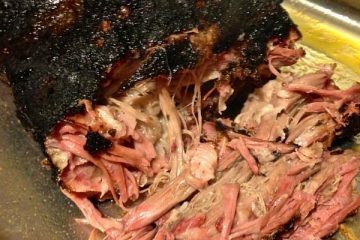 For instance, if you have any coleslaw left over from the night before (which is unlikely, as it is so tasty) then pop it on a pulled pork tacos. Even if it was all gobbled up the night before, it is so delicious and easy to make, you might just find yourself whipping up another batch anyway. 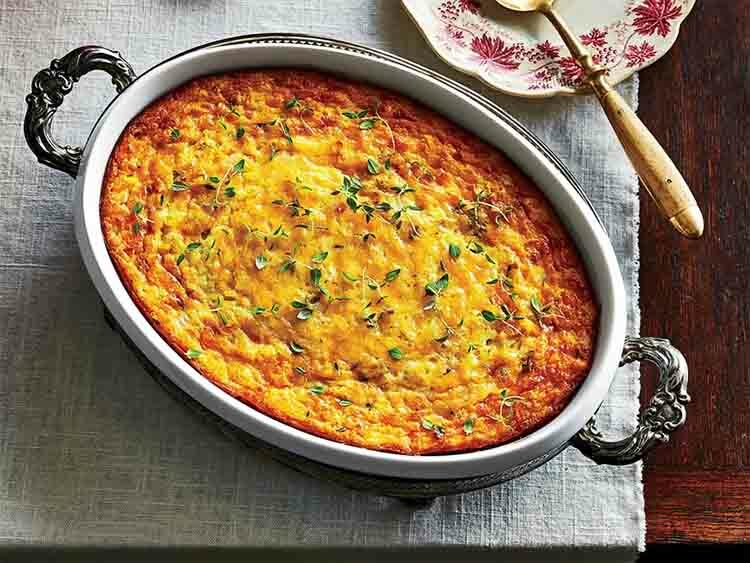 The term, “an oldie but a goodie” applies to this creamy, comforting casserole. 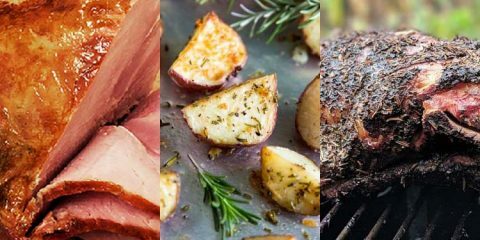 This particular recipe includes thyme and onions to give it an extra savoury kick, making it right at home next to your sausages or steak. Best made thick and rich with heavy cream, this is not the recipe for you if you are looking for something light and crispy to go with your meal. This is comfort food all the way. Check that it is done by sticking the tip of your knife in the middle. While it might be a little jiggly, the knife should still come away clean. Potatoes are easy to love. But with the addition of cream, cheese and a hit of smokeyness, they are completely irresistible. 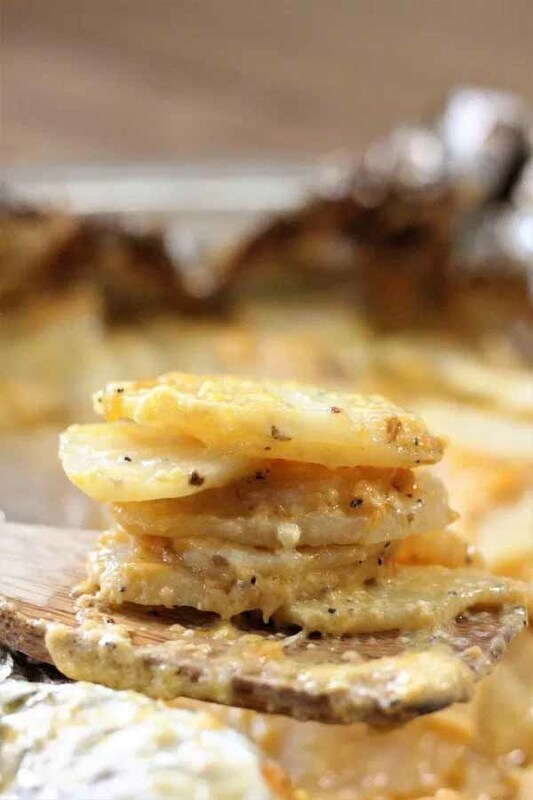 To create these dangerously addictive taters, you will need to fire up your smoker. But if you have it out already for the rest of your meal, why not put it to good use! There are not too many ingredients needed to make this dish, most of the work lies in chopping the potatoes into ⅛ inch rounds. 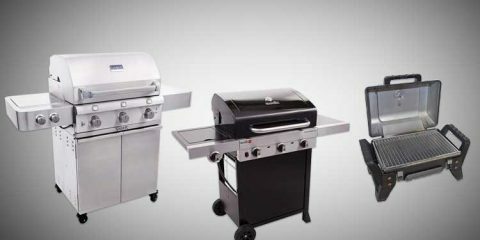 If you have some kind of gadget which can do the chopping for you, even better! If you are after creamy, carby, cheesy, buttery goodness, you have found the perfect recipe. 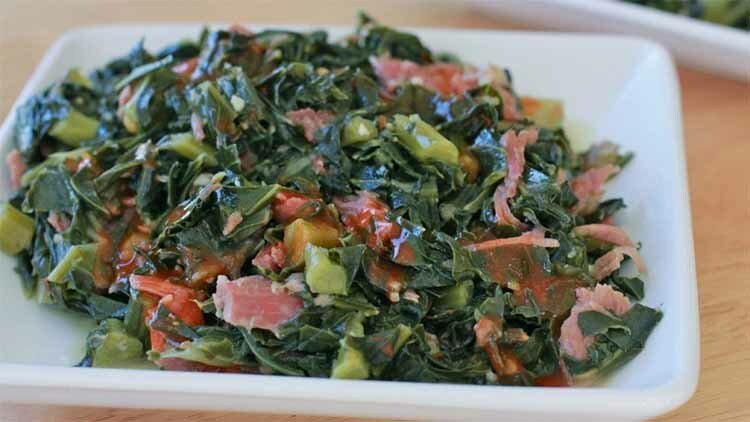 For many, a bowl of collard greens will bring memories of family dinners flooding back. A classic southern dish, the infusion of turkey, onion and garlic makes this dish absolutely packed with flavor. This sure is one tasty way of eating your greens. For added deliciousness, you may like to pour some hot sauce or vinegar over your portion. However, for some, nothing needs to be added for this dish to be a hit. The ingredients needed to make this dish are not fancy or obscure, rather it is the way they all come together so well which makes this such a satisfying meal. 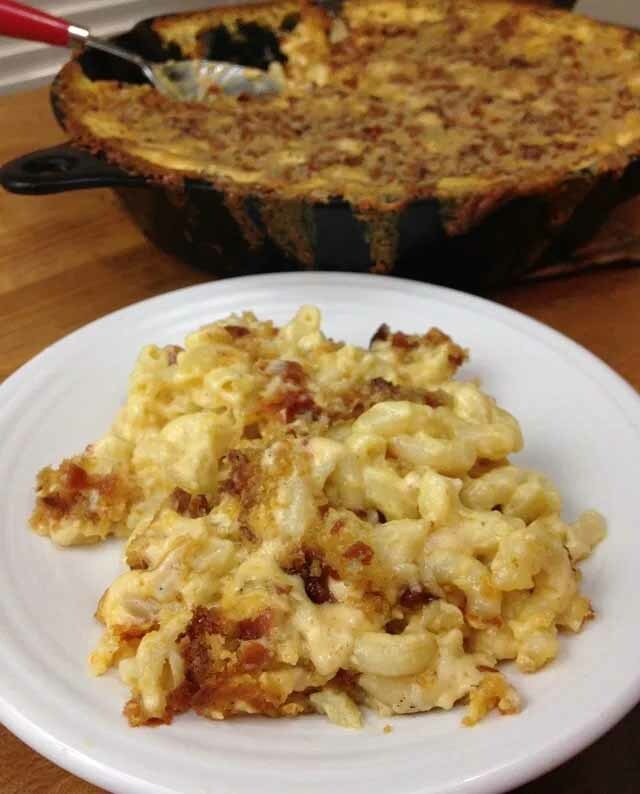 Malcom Reed sure knows how to BBQ right, but he knows how to make a top notch mac and cheese, too. Topped with bacon and cooked in the smoker, to say this dish is packed with flavor is an understatement. In fact, this may well the the richest, creamiest mac and cheese you ever taste. You can even watch a video how to guide below. 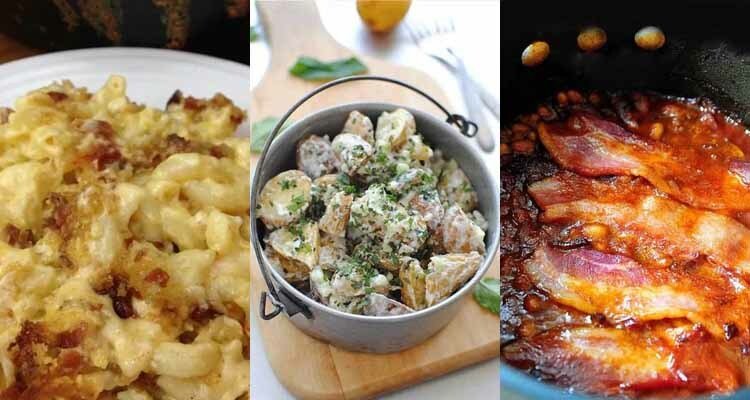 This recipe does call for you to prepare your own crispy bacon and cheese sauce, but once those jobs are done, all that is left is to mix all the ingredients together and pop it in the smoker for around an hour. 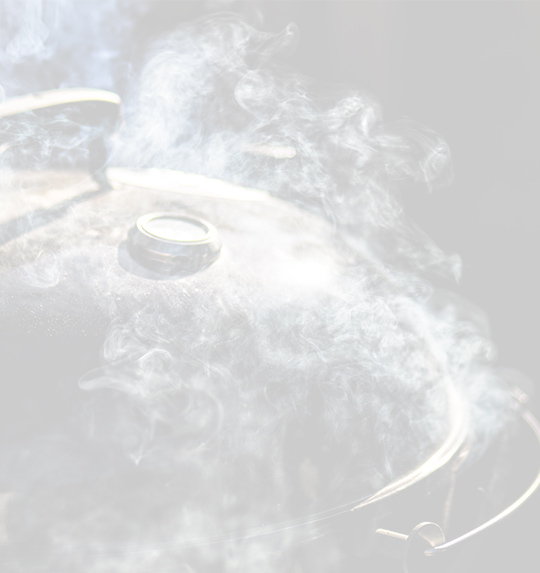 Smokey and sweet, we all know baked beans well. 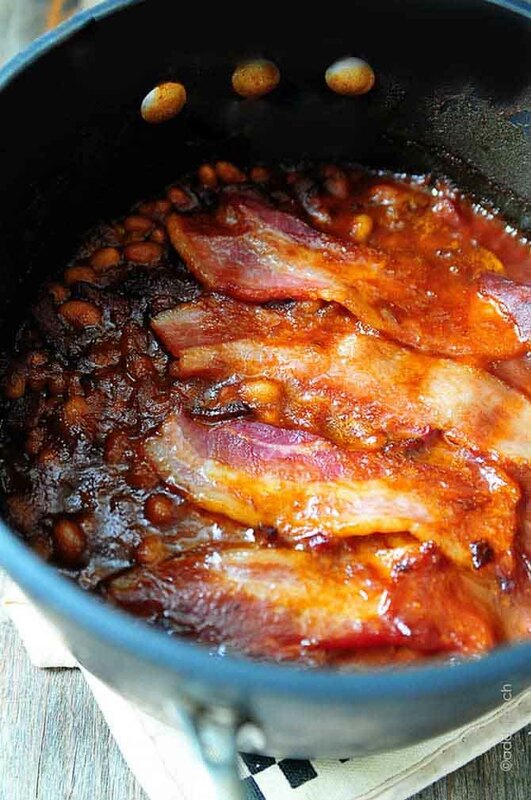 Canned baked beans on toast might do the job of filling your tummy if you have no time to cook, but home made baked beans can do much more than that. Once you master this recipe, these beans will no doubt feature as a side dish for many barbecues to come. You can use pre cooked navy beans out of a can to save time when making this dish. However, because different brands of beans have different amounts of liquid in the can, you may find the results will vary a little in terms of consistency from brand to brand. To avoid this, try soaking your own beans the night before and cooking them before you bake them. Let’s not be childish and turn up our noses at brussels sprouts. Sure, if they are cooked the wrong way they are bitter and stinky, but we can do better than that. Much better. In fact, when cooked right, brussels sprouts are delightful. 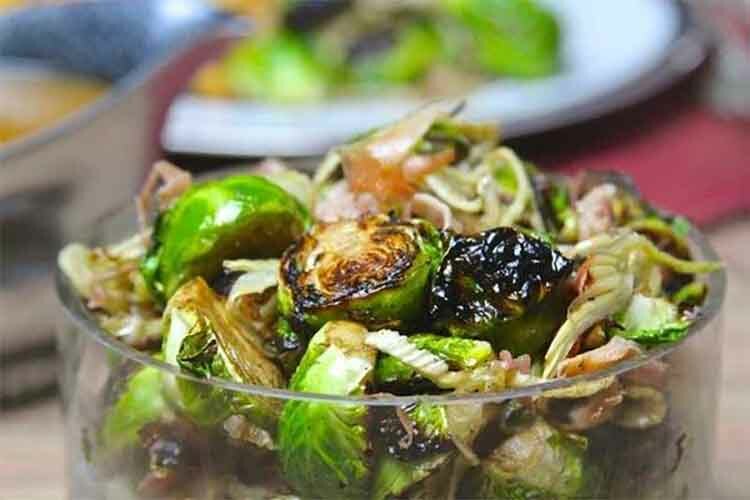 Meathead Goldwyn shows us how to cook brussels sprouts right in this recipe. The sprouts are licked by the flame to bring out their best, prosciutto adds richness and warmth to the dish, and a touch of fennel is added for the X factor. All in all, this is a very grown up recipe, and breathes life into the humble sprout, and will do much the same at your next barbecue. When potato salad is plonked on the table you know you won’t be looking for space in the fridge to stick the leftovers, it is guaranteed crowd pleaser. If you are still looking for your go-to potato salad recipe I suspect you may just have found it here. Creamy but with the crunch of some celery, salty but with a hint of sweet relish, this is nicely balanced recipe. 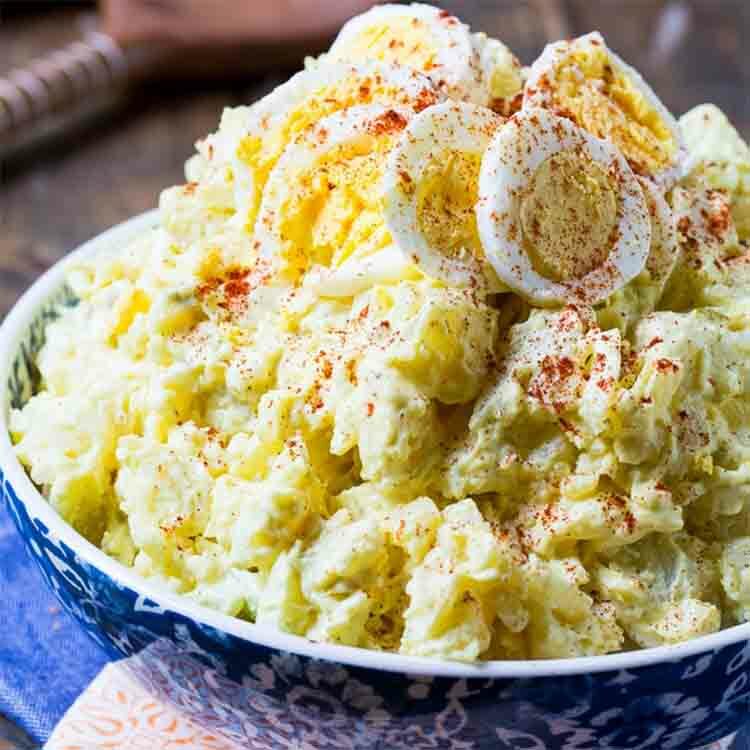 Of course, the beauty of potato salad is that you can make minor tweaks here and there according to your taste, but starting out with a recipe that has it all is most definitely the best place to start. Grilled watermelon? You better believe it! 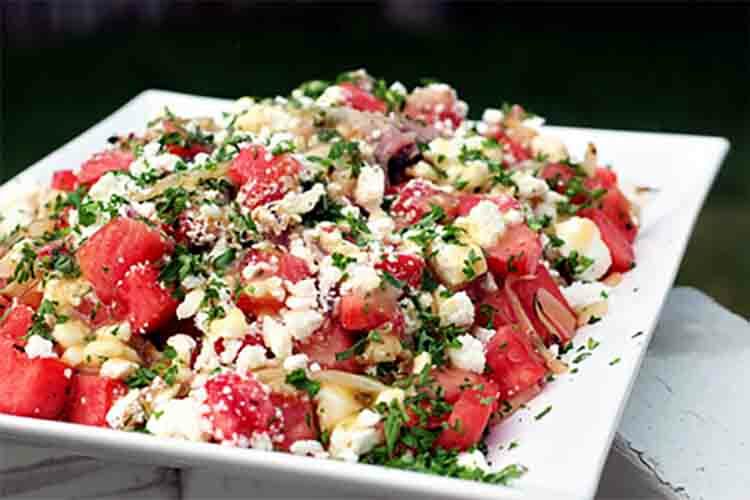 This salad is a great way to balance out the heavier flavors of grilled or smoked meats. However this salad is tasty and unique enough that you could put it up on just about any occasion is going to lead to happy guests, and a bit of a ‘wow’ factor. All the ingredients and flavors in this dish have been carefully researched and paired, so as wacky as it may sound, it is going to taste great. The concept of these tasty morsels is similar to that of cookie dough. Now that you are all grown up, you can turn all those things your parents told you couldn’t eat by the spoon on their own into a full blown meal, eg; the stuffing of the turkey for mains (or a substantial side) and uncooked cookies for dessert. 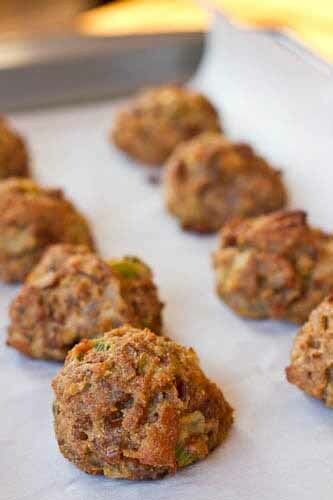 Even better, the mixture for these balls can be made ahead of time and frozen, so you can enjoy the salty, bready goodness any time, simply let the mix thaw out and you are ready to go. Savoury, nutty, salty with a tiny bit of sweet, these balls can be cooked to perfection in the oven ensuring you have a crispy outer layer which opens up to a steaming, moist center. 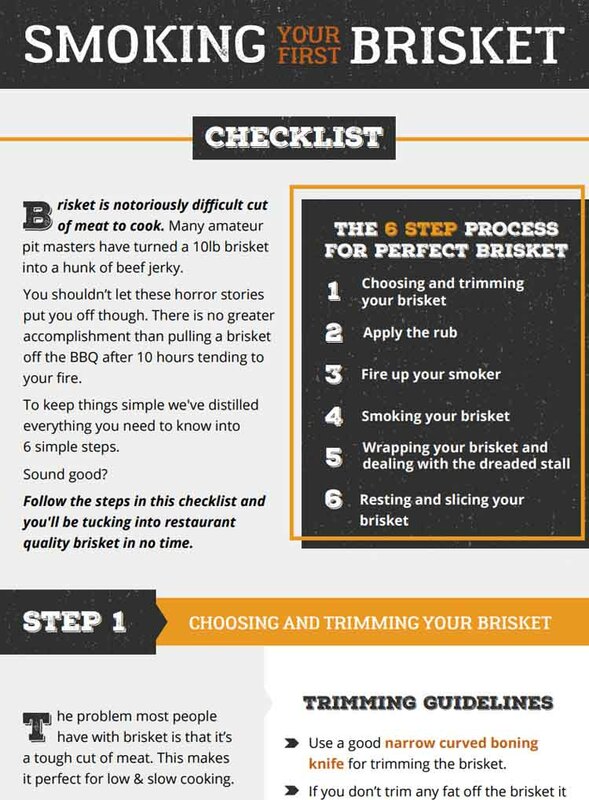 This versatile dish not only perfectly compliments smoked meats, but would also be a great addition to tacos or nachos. The beauty of this recipe is that it is not too sweet. This means the flavor is beautifully balanced. The only issue with this is that you might find yourself filling up on the side dish and have no room for the main meal. Don’t be afraid to double the batch and enjoy it the next day. 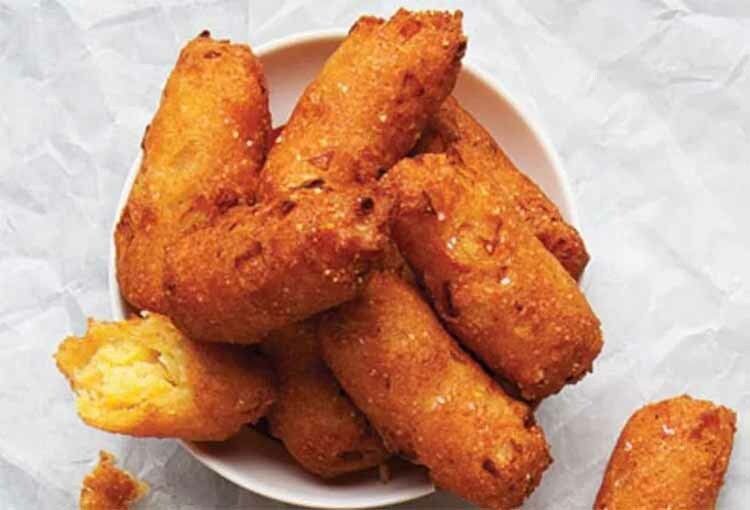 Crispy, golden, tasty hush puppies are a staple at North Carolina barbecues. But you don’t have to live in North Carolina to enjoy a hush puppy or two the next time you fire up the grill. This recipe is really easy to make, but you will need a piping bag, so make sure you have one on hand before you start mixing up all the ingredients. If you don’t have any time and you are low on ‘fancy’ ingredients, then this recipe will save the day. The perfect fresh and zesty salad to cut through the richness of meat, this recipe is also ridiculously easy to make. 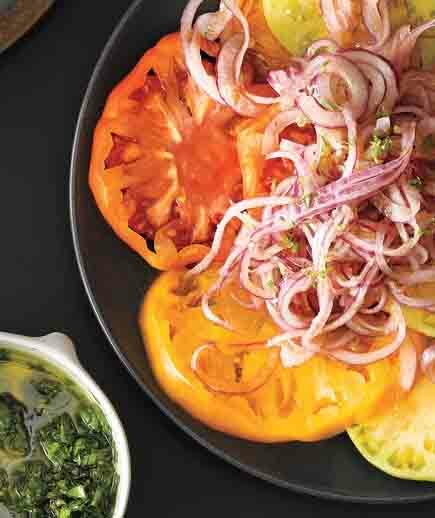 You will need to set aside some time to let the onion ‘pickle’ in the juices, so make sure you get cracking on this salad a couple of hours before you plan to eat it. Aside from thinking ahead a little, there isn’t much more you need to do than chop up some onions and tomatoes. Just the kind of salad you are after when you have a few things on the go at the same time. Because it is such a crowd pleaser, we decided it couldn’t hurt to include another variation of the much loved potato salad. Potato salads are usually rich and creamy, which is great, but this is a slightly lighter and zestier take on it. The potatoes in this salad are also baked, which, when combined with the celery in this recipe, makes for a really textured dish. 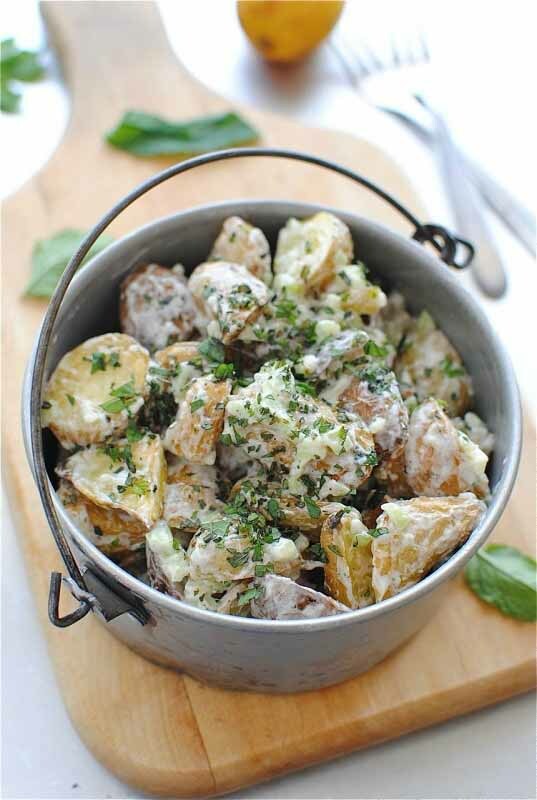 A hit of yoghurt, olive oil and lemon juice make this special potato salad creamy yet light, comforting yet tangy. Something really special. 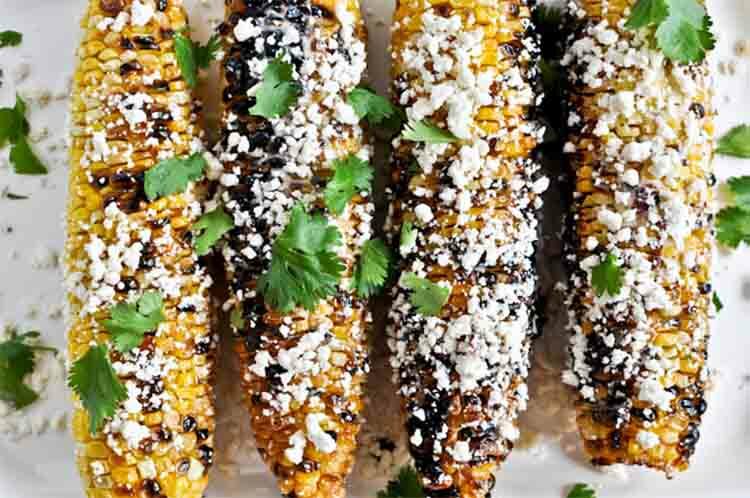 This recipe is really simple and is precisely what the name suggests: Grilled corn. Bacon bits in butter. Crumbled cheese. Whichever way you decide to meld these 3 elements together, the result is going to be downright delicious. 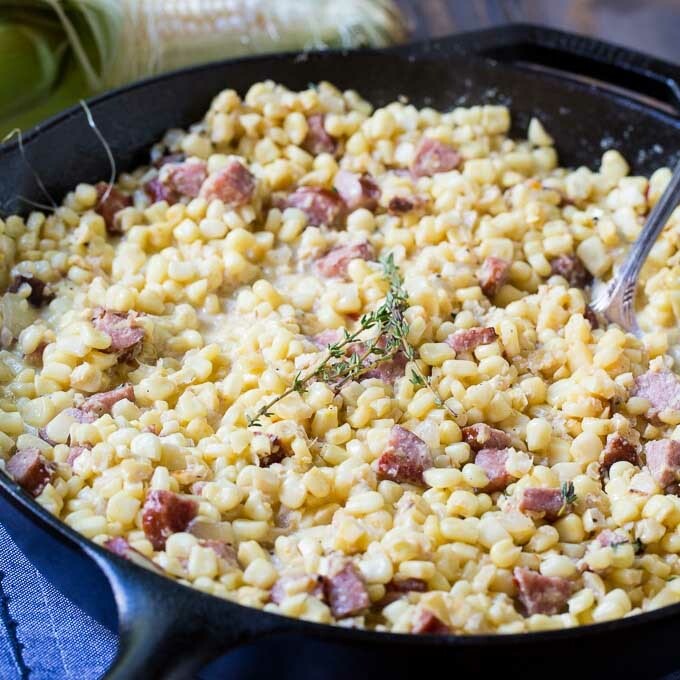 A fairly logical suggestion (as stated in the recipe) would be to coat the grilled corn in bacon butter and then roll it in the cheese, but why not get creative with this great combination and come up with a unique variation? Whatever the case, this side dish is super easy, absolutely scrumptious and you will no doubt serve it up time and time again. By the way, the bacon butter is really versatile. You can spread it on just about anything and make it taste spectacular. A great side dish rounds out a barbecue and adds light and shade to an otherwise meat heavy meal. 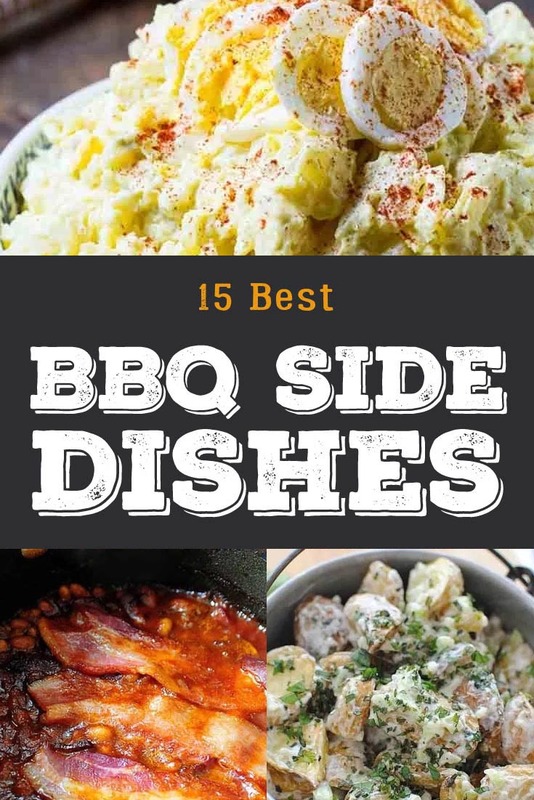 Most side dishes are quick and easy to make, and the ones in this list will perfectly complement any barbecue. We hope you enjoyed this roundup of the 15 best barbecue side dishes. If you have any others you would like to recommend, let us know in the comments section below, and if you found this article helpful, be sure to share!